flexibility to create custom-sized bags to package and protect food and non-food item using your Quiware® Vacuum sealer. 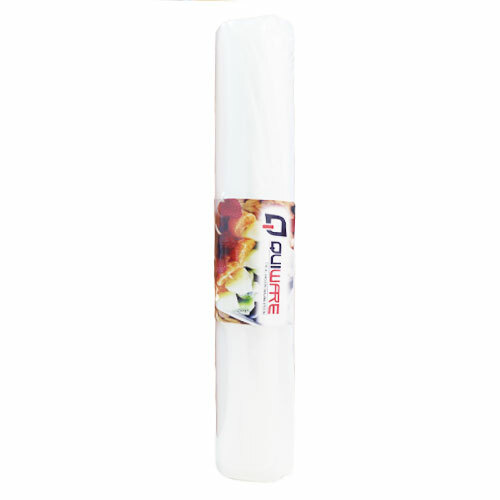 use what you need : Quiware® Rolls give you great flexibility. Simply cut a piece to your desired lenght,seal one end,fill,and then vacuum seal. All our rolls are BPA free,lead and phthalate free and are compliant with EU directive 2002/72/EC – plastic materials that come into contact with food.